We are very excited to have been able to expand our service area to include Bridgewater NJ in 2015. You may have seen our vans and trucks around, but you may not know much about Monk’s Home Improvements. 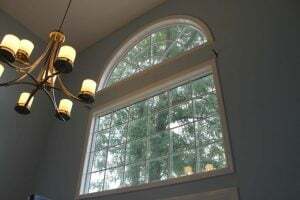 We’ve been painting homes in southern Morris county since 2007. We’ve grown our services to include carpentry, flooring, and kitchen and bathroom remodeling. For our family-owned company, painting remains a major part of our business. Dave Cleaves manages all of the Monk’s painting and carpentry projects in Bridgewater NJ. Dave has spent his entire career performing and managing various aspects of carpentry and construction. He will make sure you are fully satisfied with your home improvement project. Dave looks forward to discussing your painting or carpentry project with you. Call to schedule an appointment for a free, written, on-the-spot estimate with Dave. He’ll will tell you why we are the best painters in Bridgewater NJ! We handle all types of painting projects. Besides walls, ceilings, and trim, interior painting may include kitchen cabinets, railings, brick surfaces and shelving. Monk’s exterior painting may including trim, cedar shingles, fences, decks, barns, sheds and more! Prime all bare wood with a top quality primer from Sherwin-Williams or Benjamin-Moore. Give a house two top coats of paint. One coat just won’t cut it.